This will reveal a menu with options to edit your call to action button. 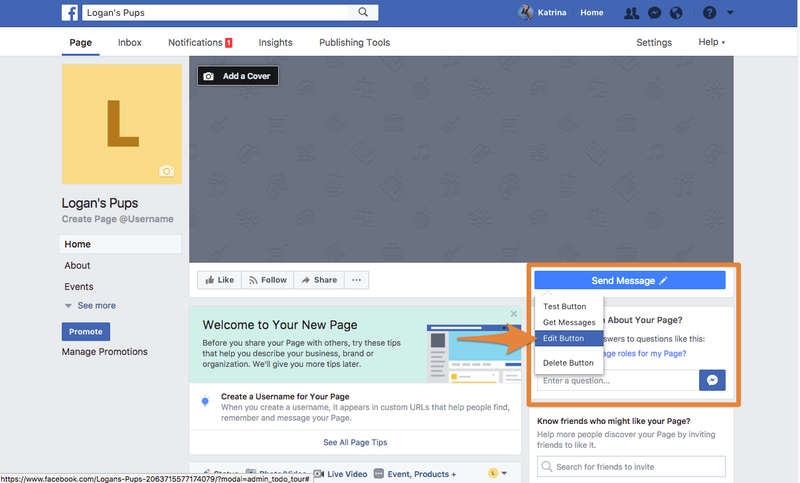 If you have not previously changed your call to action button, it should say "Send Message". A prompt will appear that will help walk you through the steps to editing your call to action button. Step 4: From the prompt that appears, select the arrow to the right of "Shop with you or make a donation" to expand the menu. 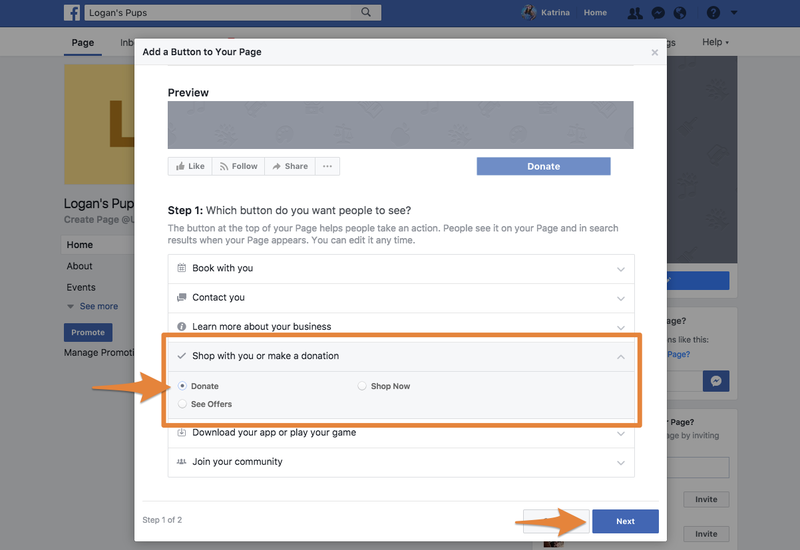 Step 5: From the expanded menu, select "Donate." Once you've chosen "Donate," click "Next." Step 6: Click the option "Enter a website link." 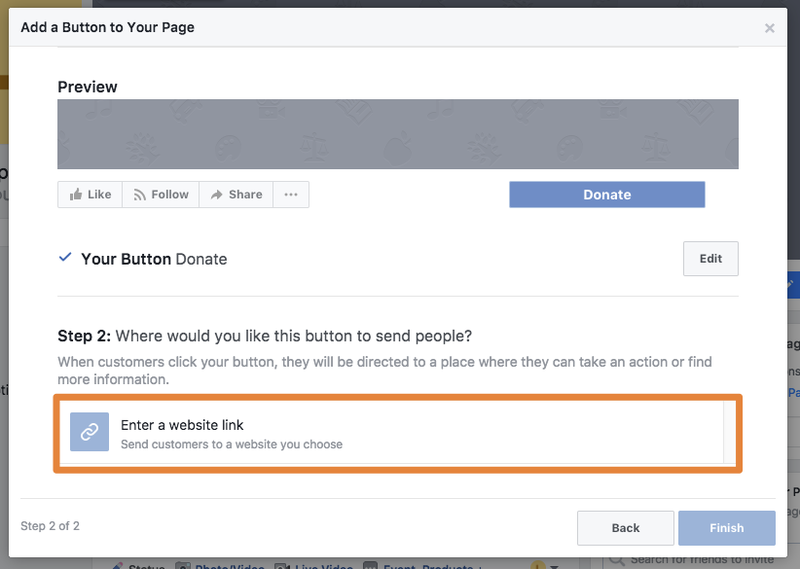 This will allow you to enter a specific URL to connect your Facebook "Donate" button to. 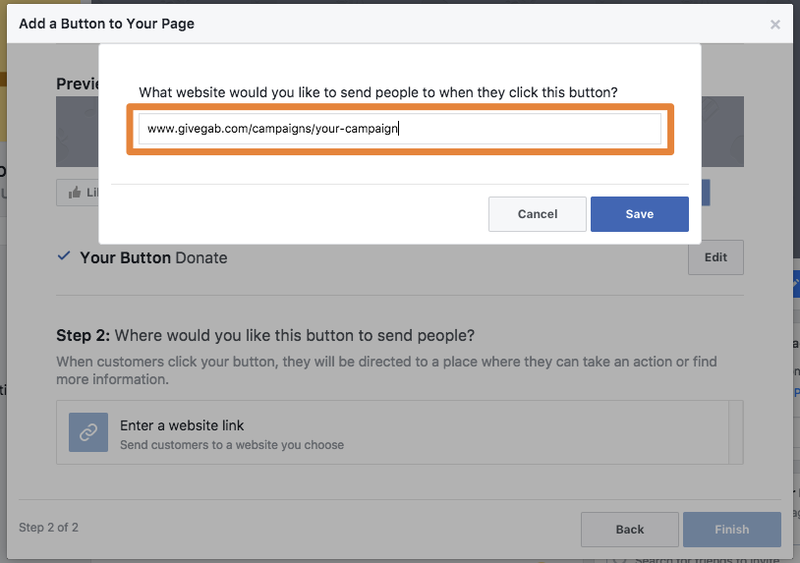 You can use the URL to your general GiveGab page, GiveGab campaign, or Giving Day profile! Step 8: Once you've entered your GiveGab URL, save your changes! 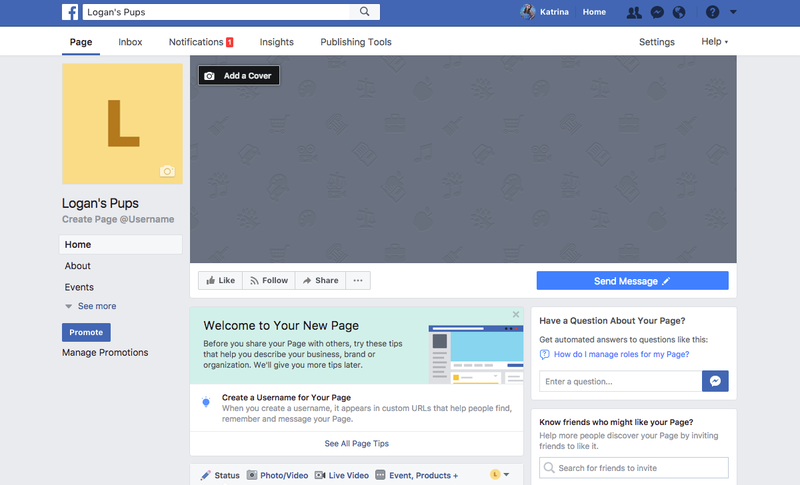 Step 9: Click "Finish" to complete the set-up of your Facebook "Donate" button! 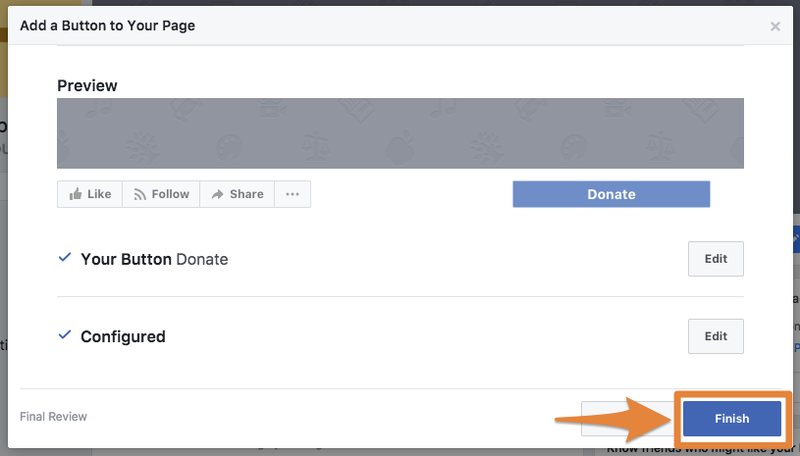 Your Facebook "Donate" button is now complete!